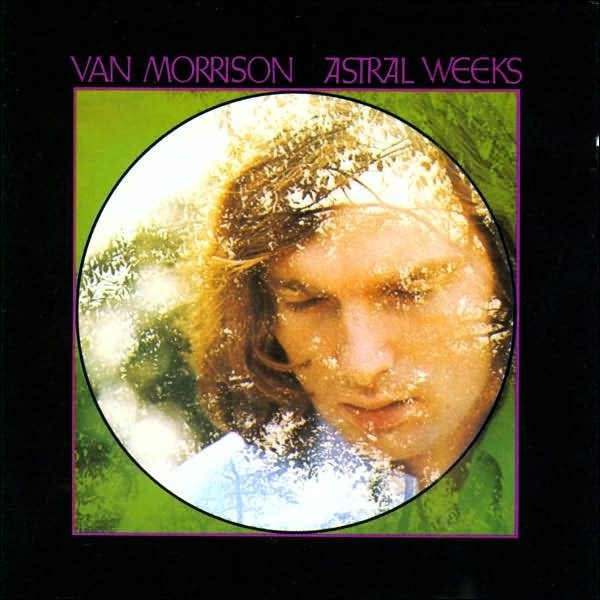 Astral Weeks by Van Morrison is one of the few albums constantly hailed as 'the best of all time' which thoroughly deserves the adulation. It sold little upon its release, but has since outsold most of what was on the charts at the time. It is a timeless record and, unlike a lot of rock music, has longevity. It would still be a stretch to solely call this album 'rock.' It feels more like an amalgamation of Celtic soul, folk and jazz, Van Morrison's lyrics flow like milk, as does the music. The lyrics are suffused with recurring imagery and verbiage. The music ebbs with panache. Van Morrison sings about 'if I ventured in the slipstream, beneath the viaducts of your dreams' which alludes to idea of movement. Musically, motifs reappear throughout the album. The album is so holistic because of the way it fluidly modulates and the way in which it is self-referential. It is not a wad of songs bundled into a nifty little package, which is what a lot of rock records essentially are. Nor is it, as was fashionable upon its release, a gimmicky concept record. In many ways, it is a perfect artefact which reveals more to you the more you hear it. The session musicians were drawn from jazz groups as well as rock. Van Morrison hardly addressed them and brooded in the corner of the studio. But they really caught onto his songwriting. There are also a number of arrangements which complement the songs beautifully. The addition of the harpsichord adds a sense of wistfulness to Morrison's narration in 'Cyprus Avenue.' The string arrangements add a sense of buoyancy to the lugubrious tones of the bass and the strumming guitar. It is all harmonised, and gells so seamlessly, that it boggles the mind how it was recorded so swiftly. But then, a lot of the best jazz records are recorded quickly. For instance, all the tracks in Miles Davis' Kind of Blue were recorded in one take. Yet the playing and the symmetry, as in Astral Weeks, is so immaculate that one has the impression that there must have been some kind of telepathy involved. Lester Bangs wrote the following about the record: 'Astral Weeks, insofar as it can be pinned down, is a record about people stunned by life, completely overwhelmed, stalled in their skins, their ages and selves, paralyzed by the enormity of what in one moment of vision they can comprehend.' This is an excellent description of the record. Morrison is expressing a series of epiphanies, or numinous moments which are difficult to explicate in any way other than poetry. In this sense, Van Morrison is very much the J S. Bach of rock. He writes music that consecrates the sacred. Through the non-representative medium of music, and the abstractions of poetry, he expresses a sense of transcendence and awe.